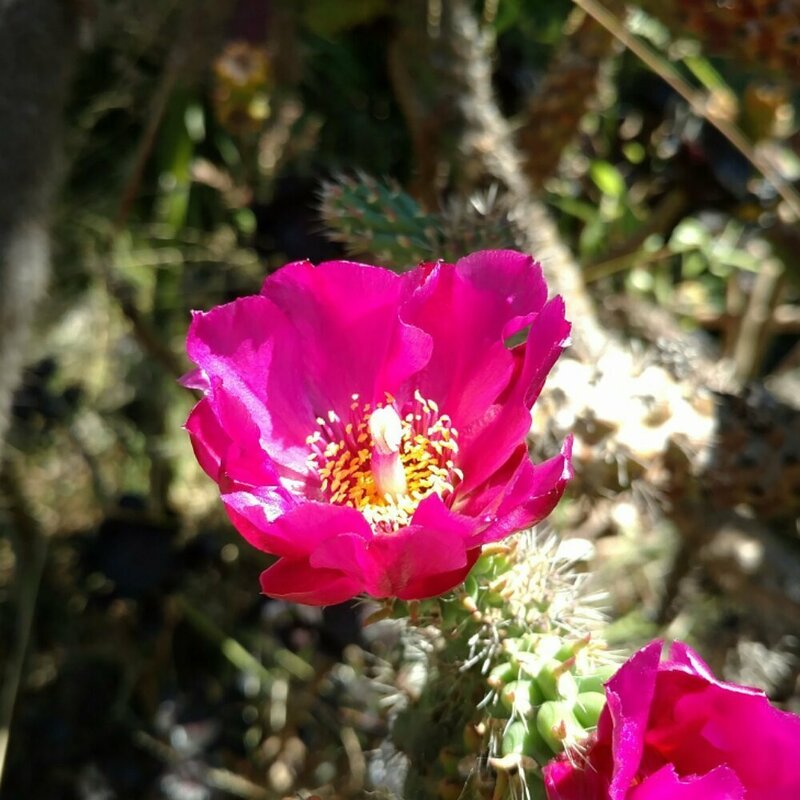 Posted July 27, 2017 1:02 pm & filed under Berkeley Gardens, Cactus, California Native Plants, Photography. It’s a cholla in full bloom! Well, it’s a single cholla flower. At least! Maybe I could zoom out and we’d see if there are more flowers. And it’s a California native cactus too. Medium height tree cholla, to 6ft tall. Flowers in summer.